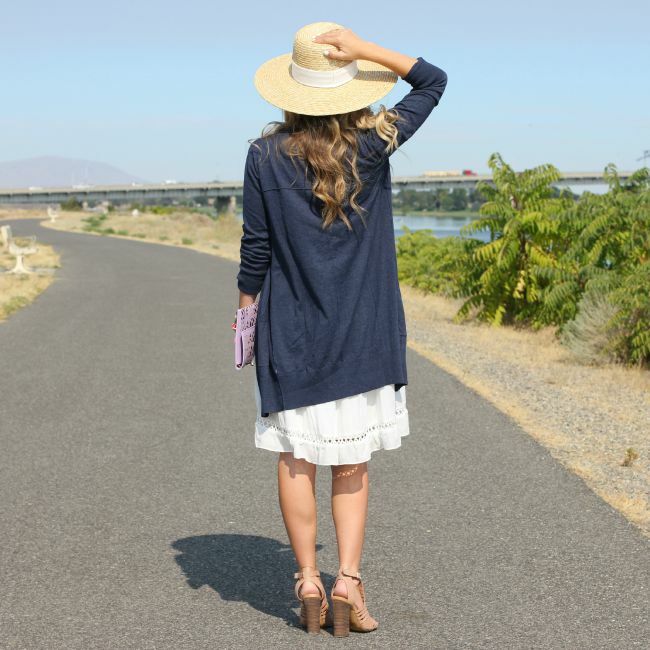 summer has a way of wreaking havoc on your skin. the constant sun exposure, the UV damage, the dryness factor along with heat leaves your skin feel rough, abused and damaged. 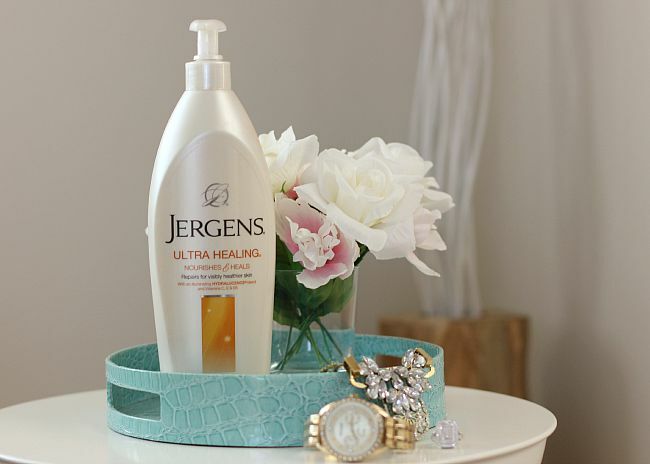 Jergens Ultra Healing helps nourish and heal your skin. with vitamins C, E, and B5 it is made with moisture-retaining lipids to lock in moisture and allantoin, known to help heal dry skin. it penetrates through five layers of skin's surface to to help start healing at the source. if dry skin is your problem, this lotion is your solution. one of my biggest complaints about lotion is that i will apply them in the morning and within hours they seem to have evaporated. my skin looks dry and dull again and i am left looking for more lotion to reapply. the Jergens Ultra Healing can be applied in the morning and you are still left with bright, super supple skin even at the end of the day. i like the thickness of the lotion, when applied it feels moisturizing and you can feel the product locking in moisture and yet it is light enough that your skin isn't left feeling greasy. 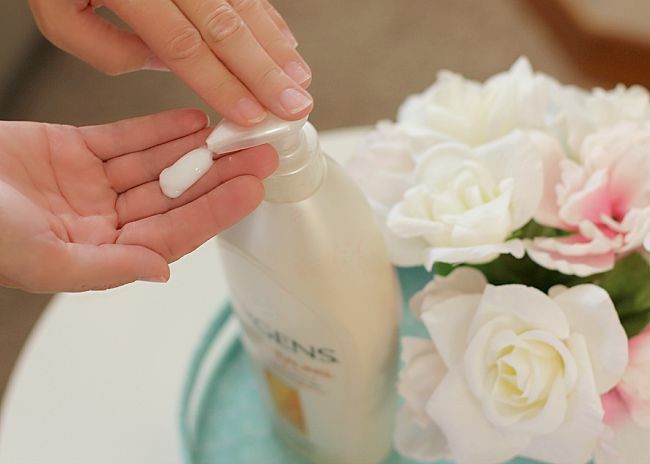 there is a luminescence that comes from moisturized skin and that luminescence lasts all day when you use Jergens Ultra Healing. we live by the water and spending time swimming or on our boat is a big part of our summer. applying this lotion helps prevent that dry, flaky skin that comes from water exposure and i can literally see it making my skin glow. the question is, who doesn't want glow-y skin?! below are some photos showing just how dewy and bright your skin is left looking after just one application of Jergens Ultra Healing. a total win.